Born in 602 in China, Xuanzang was a famous Buddhist monk, scholar, traveler, and translator. He recorded the interactions between China and India, for which he is most famous. He recorded in detail his seventeen years traveling in India. Xuanzang was born in Louyang, Henan in China. He came from a noted family, with ancestors that were officials and professors. Xuanzang was interested in becoming a Buddhist monk at an early age. He officially became a monk in 622 after fleeing to Chang'an from the collapse of the Sui dynasty. He had a dream that convinced him to travel to India. Xuanzang traveled across deserts, settlements, and Buddhist temples. His travels lasted a year until he considered India. He traveled east then northeast through India. There he found Taxila, a Buddhist kingdom with more than 5,000 monks in 100 monasteries. Xuanzang stayed here for two years studying alongside the schools. During his stay he wrote about the Fourth Buddhist council, and traveled to Chiniot and Lahore, where he wrote the first documents about the cities. 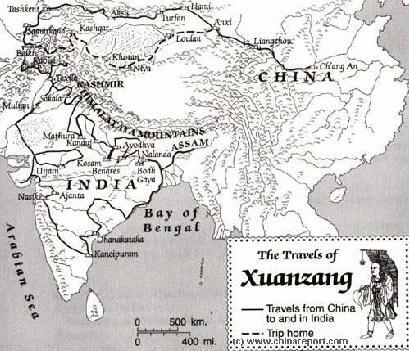 Xuanzang continued to travel all over India. He visited the birthplace of Buddha, as well as where Buddha died. During his travels he stopped at many Buddhist locations and studied. He returned to China in 645, there was a celebration welcoming him. He lived the rest of his life in a Buddhist monastery, translating Buddhist text. 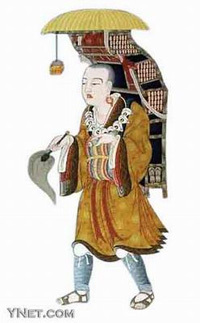 Xuanzang’s studies led to creation of school and the translation of hundreds of scripts. His accounts of Central and South Asia are the longest and most detailed from any Chinese Buddhist pilgrim. Besides the translations and teachings he received, Xuanzang also kept track political and social aspects of the countries, help historians greatly in understanding life from that era.